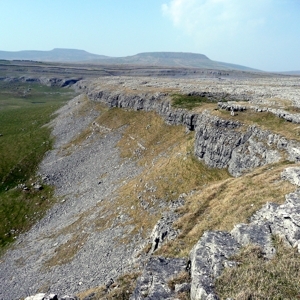 Paperback, A5, 210 mm x 148 mm, Stitch fold. 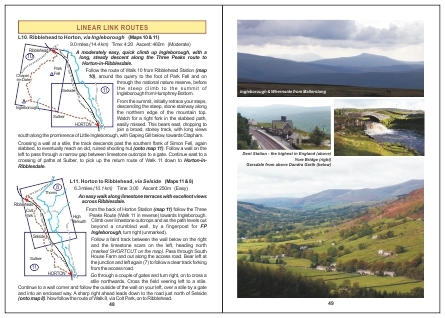 84 pages with 55 colour photos, 22 detailed colour route maps and 20 other maps. Each copy comes in a free (optional) weather-resistant plastic wallet. 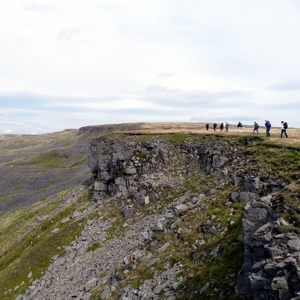 Explore the glorious high country of the Yorkshire Dales - by train! 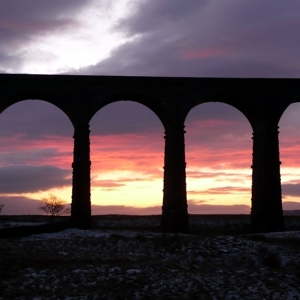 32 walks from stations along the world famous Settle-Carlisle line, the most beautiful railway in England. 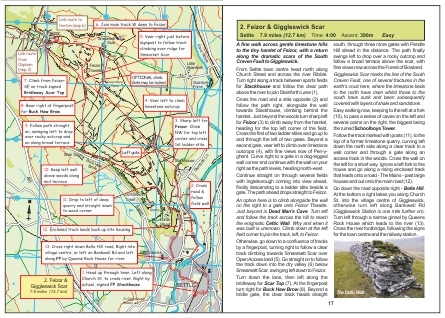 Full colour maps at a scale of 1:25,000, with concise descriptions of the routes and places along the way. 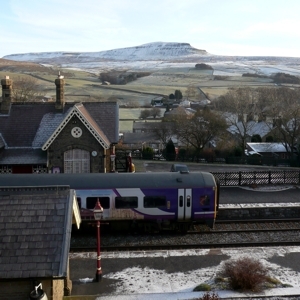 What better way to enjoy a holiday than to base yourself at a village on the line and use the train to explore the stunning western Dales? 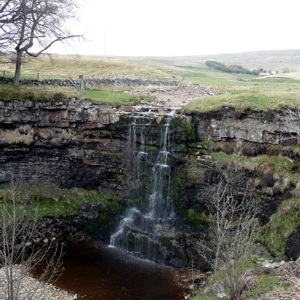 Or reach the heart of this fabulous walking country from Leeds or Carlisle in little over an hour. 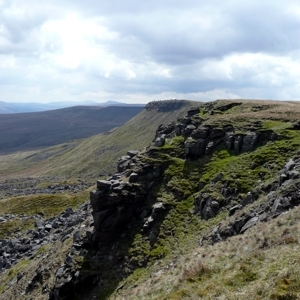 Also includes a guide to the Three Peaks Challenge Route and the 48-mile Six Peaks Trail. 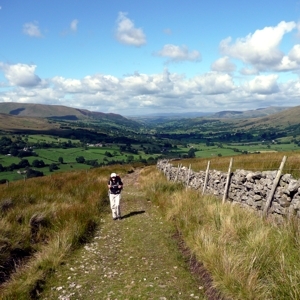 So let the train take the strain while you enjoy the walk. 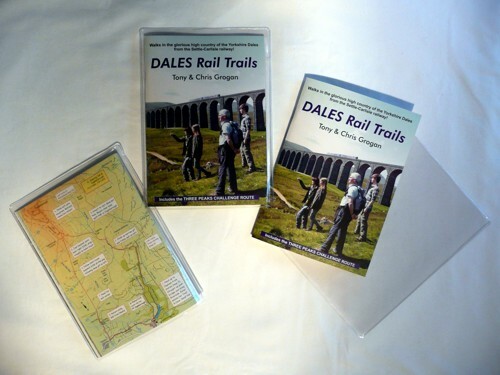 Each copy of the Dales Rail Trails book comes with a free (optional) handy weather-resistant plastic wallet. 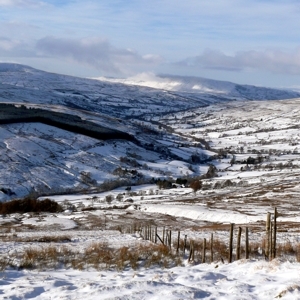 "It's colourful and well thought-out, with inventive routes and decent 1:25,000 maps." 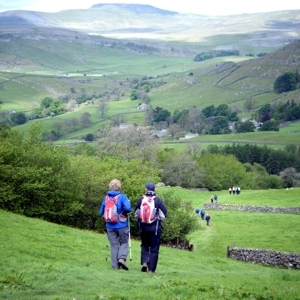 "There is little doubt that this guidebook will attract many more walkers to what is without question, some of the finest fell walking country in Britain; an area which is also uniquely accessible by one of the country's most spectacular railway lines"
"The maps and instructions should give even the most novice walker confidence to follow the routes independently." 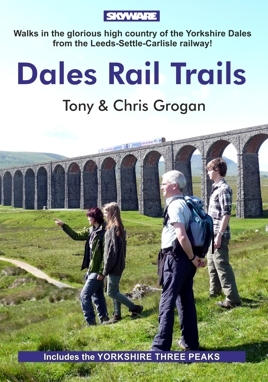 "The authors' knowledge and enthusiasm for the area shine through this concise book of varied and contrasting walks"
"Walkers will be able to take advantage of routes from stations along the famous Settle Carlisle rail line while raising vital funds to preserve Yorkshire’s Three Peaks." 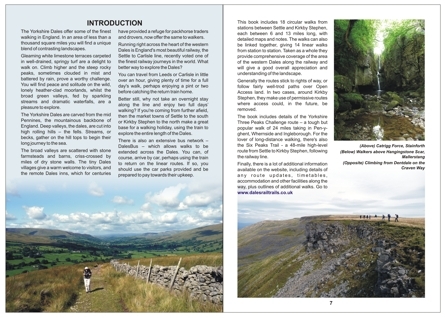 A proportion of the proceeds from the sale of each copy of this book will be donated to the Friends of the Three Peaks. 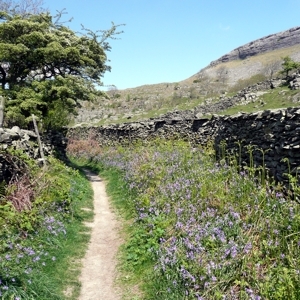 This money will be used to help improve and maintain the footpath network in the Three Peaks area. 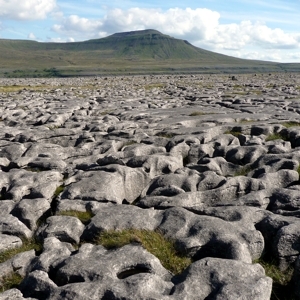 This project is funded by the Yorkshire Dales National Park Authority's Sustainable Development Fund, which is managed by the Yorkshire Dales Millenium Trust.